POTERIE A LA CORDE. HISTORICAL OVERVIEW. The origin of this method of making pots is very hard to establish. 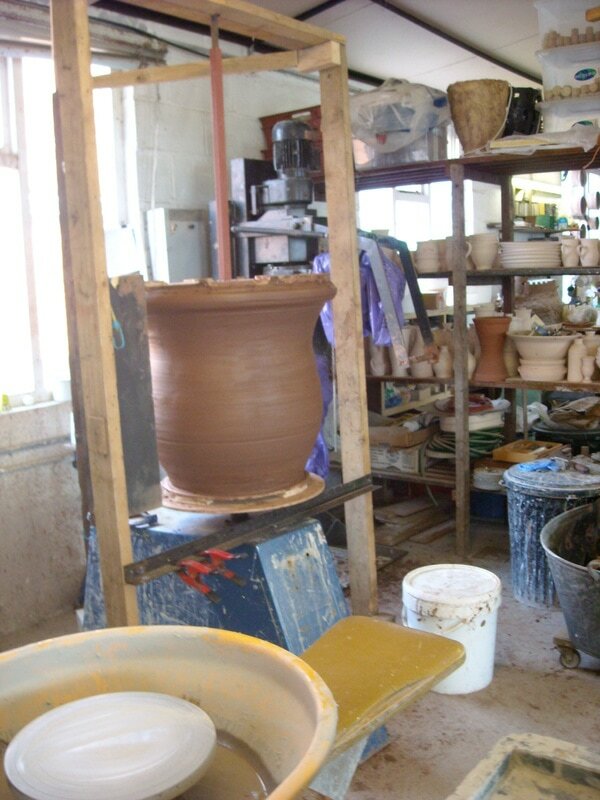 Because it requires limited pottery skill and a very simple wheel, it was used to make very large pots in a simple way. It was also a way to make pots taller than the length of one’s arm in one go, without having to assemble several thrown parts. More importantly it was a great technological advancement because it allowed for standardisation and repetition of a shape by using technology rather that just throwing skill, and therefore using trained labourers rather than master potters. Because of the complication and time needed to set up the rig, it was used for repetition of large vessels mainly for storage of foodstuffs rather than smaller vessels which could more easily be thrown on the wheel. 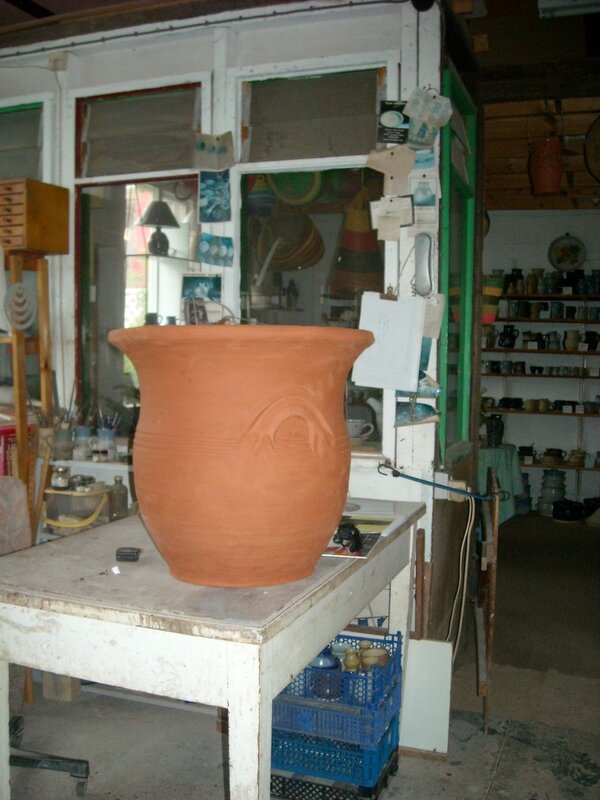 It is still occasionally found in the South of France mainly for demonstration or for architectural size pots and, depending on who you ask, it originated in early antiquity, 4000 years BC or in the 17c or in the 19c. There is apparently an engraving of rope pottery making dating from 1421 but I cannot find it. Whenever and wherever it started, the simplicity of this method of manufacture allows for some very impressive pots, made in one piece and only limited by the size of the kilns and the logistics of actually moving the pots from making to firing. There is a pottery in the Basque country, South West of France, where they regularly produce large quantity of pots up to 1 metre 50 in height and 160 kilos in weight! The wonderful master of this craft, Monsieur Gilbert Serres from Montastruc de Salies has made possibly the largest one at 3.40 metre. I make them for fun, up to 1 metre, the height of our kilns, and just below hernia weight(!) although I do need help to move them. I believe I am the only potter in the UK making this type of pottery.